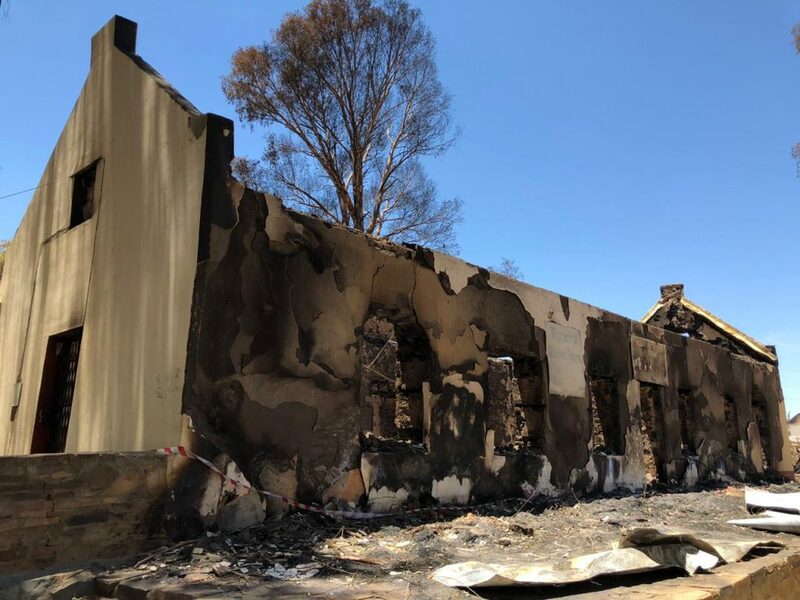 On the 30th of December 2018 a devastating fire destroyed the small historic town of Wuppertal situated in the Cederberg in the Western Cape. 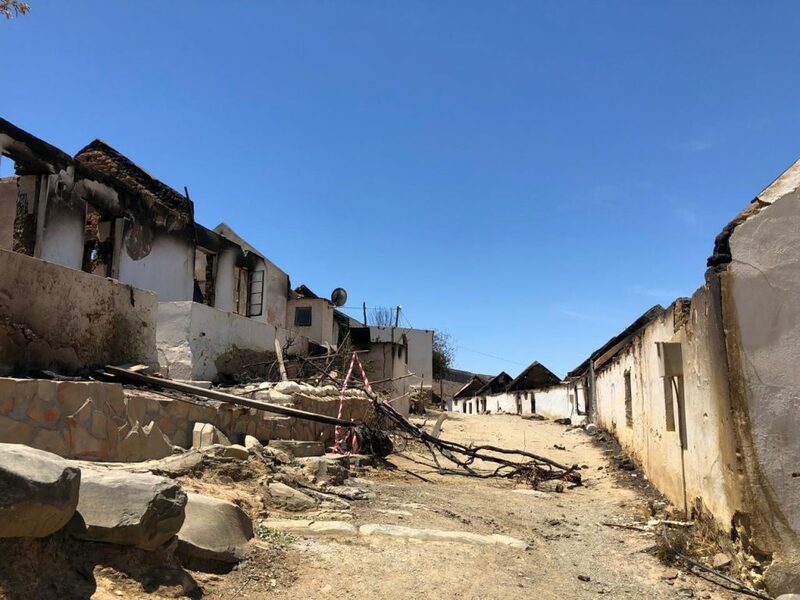 The tragic event left over 200 residents destitute. 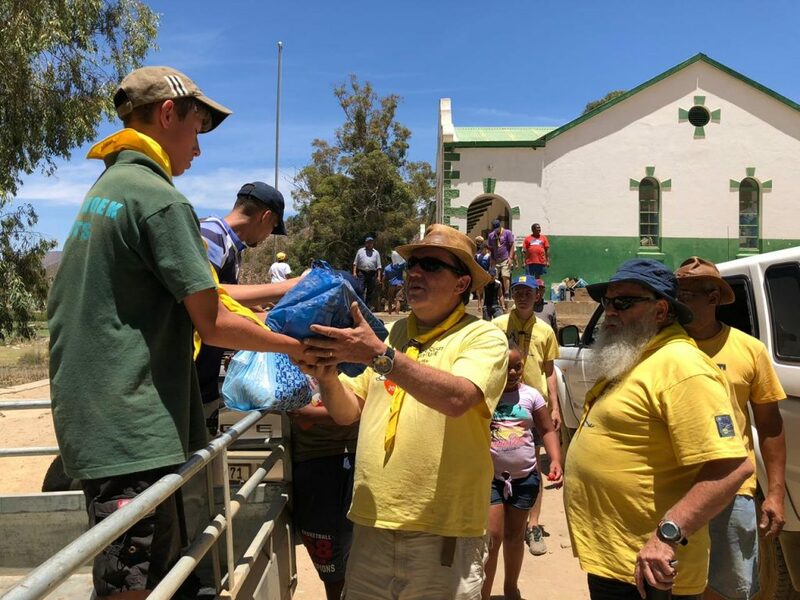 The call went out from the Western Cape SCOUTS Region on the 31st of December for donations of clothes, bedding, and non-perishable food items. The donations flooded in. to deliver the donations received. The convoy was scheduled for the 5th of January. Tamsin and Mike Metelerkamp quickly sprang into action and made the 1st Pinelands Scout hall available as a central collection point. They also gave us the use of a larger trailer. 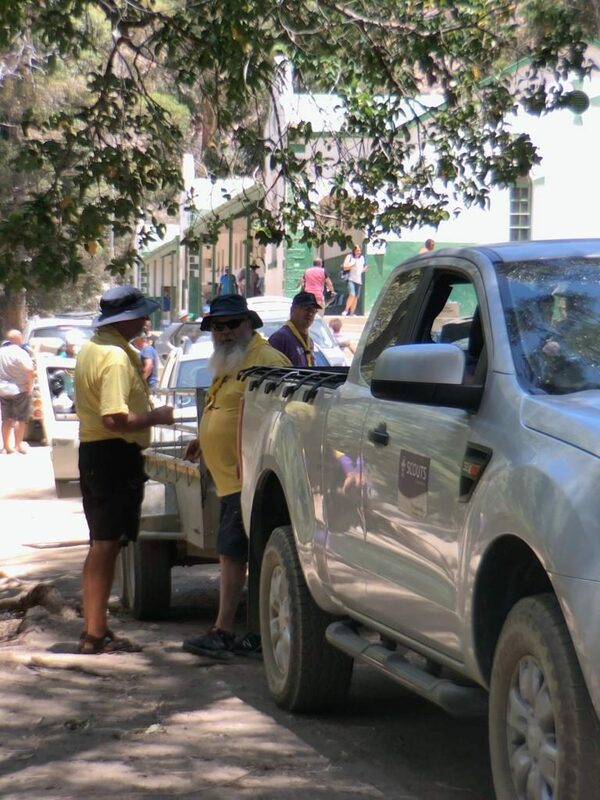 Ian Kellerman from 1st Naruna Constantia, Morgan Irwin from 1st Pinelands and Peter Niddrie, the Liesbeeck District Commissioner quickly came on board with offering transport which was duly packed on the Friday. Many other Scouters offered transport but it was very tricky balancing the incoming donations with the available transport, on the fly. On Saturday the 5th of January we were joined by ATS Malcolm Thomas of 2nd Fishhoek , ATS Tanya Spies of Naruna Constantia and ATS Don Sayers of 2nd Fishhoek and his Scout son Hudson. We promptly left Pinelands at 7:00am and were joined by Morgan Irwin and Charles Britz of 1st Strand at a petrol station along the N7. After a quick stop in Piketberg, the convoy regrouped on the Pakhuis Pass. From there we proceeded carefully with the heavily loaded cars over the gravel surface of Hoek se Pas, through the Biedouw valley and down Kouberg Pass into Wupperthal. The sight that met the 5 vehicles of the convoy at the bottom of the Kouberg Pass, upon entry into Wupperthal, was well and truly devastating. Hiroshima after the atom bomb, is probably a fitting description of what we were confronted with. Blackened gables and walls reaching for the sky devoid of any sign of a thatch roof. Solidified pools of what must have been molten glass lodged on some window sills. The now homeless residents staring blankly at what used to be their family homes. We followed the makeshift “skenke” signs to the primary school where all donations where to be dropped off. Next to the school was a hive of activity as bakkies and trailers manoeuvred to offload the donations. They clearly were expecting “the Scouts” and when they saw us arrive, they ran up and greeted us enthusiastically and some of us received “bear hugs” from the community. We introduced ourselves to the pastor in charge and signed the donations register. This was followed by the unloading of our donations into the primary school classrooms, non-perishable goods, water, clothes and bedding each into their respective class rooms. What was particularly strange was the inordinate amount of attention that was paid to donated shoes, as these were set aside from the start and very neatly packed to one side. Maybe related to the fact that there was a shoe factory in the village. The unloading took the best part of an hour, in a temperature of around 36 degrees. Fresh slices of cool watermelon where handed out by the community to raise our spirits that were flagging in the extreme heat. 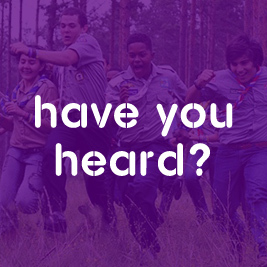 Occasionally one of the community would pull one of us aside, to tell us Scouts, personally how truly grateful they are for our contribution and help. This was well and truly a gut-wrenching experience, and difficult to keep the tears from welling up within. While we were unloading we could hear the buzz going around about us, “Ons ken die Scouts met die geel T hempde van Langvlei, Kleinvlei en Eselbank”. 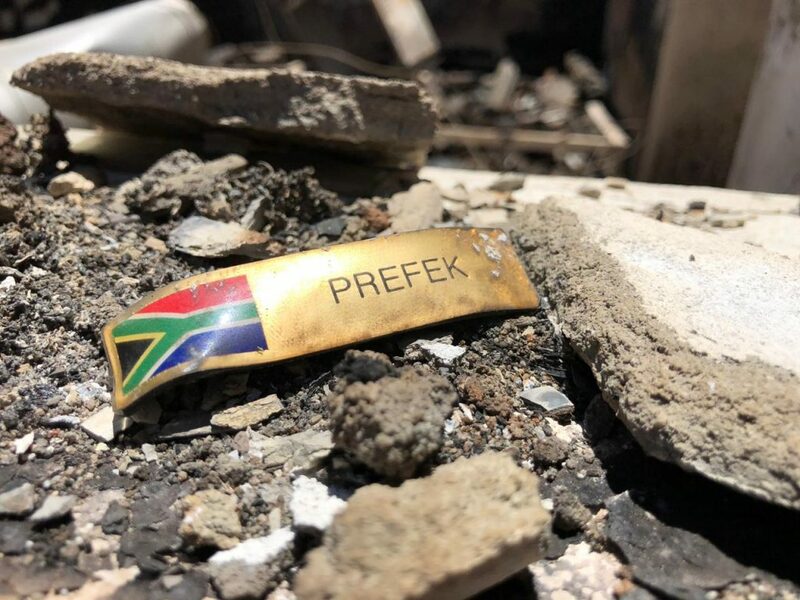 This was an epiphany for most of us as we realised that the Scouts and the Senior Scout Adventure has become an integral part of the fabric of the Cederberg. After unloading a strange quietness befell the vlllage of Wupperthal, as we walked around looking at the ruins of what was once a thriving community. Later that day we all drove out of Wupperthal up the Kouberg Pass, extremely humbled and grateful that we were able to be of service to the community and proud to be part of such an inspirational movement. In conclusion, we would like to thank everyone for their donations including – but not limited to – 1st Fishhoek, 2nd Fishhoek, 1st Bergvliet, 1st Claremont, 1st Pinelands, 1st Naruna Constantia, 3rd Pinelands, 2nd Plumstead, 1st Northpine, 1st Strand, St Pius Catholic Church and Diep River Community Police Forum.